Keith, Eileen and I over the last 3 months have been attending leadership seminars training us for the church of the 21st century. You and I are part of the first generation of North Americans to live in a society that no longer appreciates the presence of Christianity. Many are hostile toward the church. The early church shared the gospel of Jesus in a religiously plural, but hostile world. The 21st century has brought Christianity full circle. Early Christians came together to celebrate their life together with God through prayer, table fellowship, and teaching about the Way. They also went out from the Temple and into the streets to be witnesses to the life, death and resurrection of Jesus. Their message asked persons to embrace the Way of life and the rule of God in their hearts but it was not about joining a particular church. They established small groups that met in homes for nurture and fellowship. It was through these small groups that a larger sense of community developed. Finally, they experienced persecution and arrest from religious authorities and non-religious people because the Way they chose affected the economic practices of society and challenged established religious traditions. Based on these essential concerns of the early church and what is becoming obvious to us by now of the emerging world, we can conclude a few ideas about the church in the 21st century. Our primary mission will be to establish Christian communities in the midst of a hostile and violent world. The mission of these communities will be to proclaim the rule of God to all people. Existing and emerging Christian communities will need to nurture this new life in the Way and to bring new life to others. Our mission’s dominant theme will be the Way of life prefigured in the life and ministry of Jesus. The life of prayer will be necessary to keep our Christian communities focused on our mission as witnesses to the Way. And finally, all church and community leadership will be based on faithful service to the Way of Christ. The excellent leadership of Trinity Church believes that, based on the life of the early church, the only way to move forward together in our time is for our congregation to turn outward to the world. All our new and existing buildings, ministries, and missions need to shout to the entire world that Jesus is the Way without being judgmental or forming value judgments on the worth of others with regard to their religious beliefs or their nationality. Our mission involves not losing our passion for social justice and the demand Christ makes on us to feed the hungry, clothe the naked, forgive sins, and love the enemy. To move forward together as followers of the Way of Christ, all our missions and ministries must be willing to exist for the sole purpose of bringing this new life to others who are not yet experiencing it. We must be willing to invest our time, our talents, our treasures, and our very lives in order to turn society upside down so that, from time to time, those who are usually last can be first at the table of the world’s bounty. You and I need to discover as we move forward together the courage needed for embracing and offering this new life in Jesus as the Way. We are fellow pilgrims along the Way that leads us more fully and deeply into the wonder of God’s love, presence in the world, and mission. It’s hard to believe that Easter is almost here. I know I say this every year. It seems like we just celebrated Christmas and now it’s April. We certainly hope you’ll spend Easter Sunday with us but that’s not the only day we hope you’ll join us. In order to get to Easter, it’s important we walk through Holy Week. Here’s a quick look at all the days of Holy Week and why they matter in the lives of followers of Christ. Palm Sunday, April 14, 8:30 and 10:30 a.m.: We celebrate the day that Jesus made a triumphant entry into Jerusalem. The crowds cheered him as he humbly entered the city riding on a donkey. In a sign of respect, the people threw their cloaks and leafy branches on the road in front of him. We will wave the palm fronds during worship to mark this first day of Holy Week. Maundy Thursday, April 18, 7:30 p.m., Chapel: The English word for Maundy comes from the Latin mandatum, which means commandment. John’s gospel tells us that on his last night on earth (before his betrayal and arrest), Jesus washed the feet of his disciples and then gave them a new commandment to love one another as Jesus had loved them. John’s gospel does not record the institution of the Lord’s Supper among the events of this night, but the other gospels do. That’s why we mark this night with celebrations both at the basin (foot washing) and at the Lord’s Table (Holy Communion). Those who attend our service can choose whether to participate in one or both celebrations. Good Friday, April 19, 7:30 p.m., Sanctuary: We will remember the crucifixion of Jesus at Calvary. We’ll mark this reverent evening in our dimmed Sanctuary, hearing scripture readings of the powerful story of the last hours of Jesus’ life. If you have never attended a Good Friday service, I encourage you to come this year. Experiencing Good Friday will make Easter Sunday even more meaningful. Easter Sunday, April 21, 6:30 a.m., 8:30 a.m. and 10:30 a.m.: Christ the Lord is risen today! We will celebrate bright and early at our sunrise service in the memorial garden, right outside the Fellowship Building. We will also be celebrating in our Sanctuary at our regular worship times. It is a day of celebration and joy, and we look forward to having you join us. Trinity Church is returning to Heart to Heart Children’s Village (H2H) in Honduras from July 4 to 13. We’re calling for volunteers to participate in this heart-renewing trip and you’re invited! The outreach represents multiple opportunities to aid H2H in its mission to nurture one hundred and ten children in their care. H2H is unique in that they develop and maintain multiple facets of social and spiritual endeavors. A complementary benefit from these multiple endeavors is that they help H2H become a self-sustaining ministry. To me that’s unique because our strategic contributions help them further their viability. We know that they care for one hundred and ten children. Therefore, much of received financial support pours into this worthy endeavor. But did you know they also operate two high-quality schools—one bilingual and the other Spanish? The reason was that due to political disorder, weather conditions, and teacher strikes, students averaged about seventy days out of two hundred school days. Also, they not only educate H2H children but offer quality education opportunities for children in the schools’ neighborhood. Over three hundred tuition-paying students attend alongside the H2H children. This revenue makes operating schools a sustainable undertaking while educating all of the H2H children. Two years ago, H2H leaders asked Trinity Church to help fund a solar system for H2H Children’s Village because a local electric company reneged on H2H’s prior arrangement with city officials. We agreed because this was another contribution to help H2H’s sustainability. The solar system would not only be a one-time assistance but a perpetual one because every time there’s sunshine, they’re saving electric cost! Fortunately, Peggy Fox and her daughter Leah organized a fundraiser that raised over $10K for the project. This plus generous donations from church members made possible about $13K total. Oscar, the H2H director, was able to complete a system for the boys’ dormitory with Trinity’s contribution. Then, other contributions helped complete the whole village. In addition to schools, they started a church, manage a medical clinic and, in recent years, planted a coffee farm. A main factor in starting the farm rose out of needs to fund college educations for H2H graduates. The main goal of Trinity’s trip to H2H is to develop and strengthen our relationship with their staff, volunteers and children. This is the most important and worthy goal. The second is to help H2H fortify their sustainability with technology to further solar projects, educational development for the schools, medical expertise for the medical clinic, theology for church growth, and marketing for coffee distribution. If you have expertise in one or more of these areas, please consider joining us this summer. You can reach me at 703-356-3312 or klee@umtrintiy.org to learn more. 6:30 p.m. Meets in the Fellowship Building. Join Crafts for a Cause in making comfort items for hospitals on alternating Monday nights from 7 to 8:30 in Room 124. Upcoming sessions: April 1 and April 15. If you can’t make the evening sessions, there will be a special daytime workshop on Saturday, April 6, from 9 to noon in Room 124, during the Good Works Day activities. We’ll have kits to make pillowcases for hospital patients and dresses for needy girls, or you can stuff and stitch pillows and dolls. Instruction and materials provided. Adults and youth are welcome. If you’re interested in the workshop but can’t make it April 6, notify Molly Sprouse, and another time might be arranged. Contact: Molly Sprouse at mollysprouse@gmail.com. 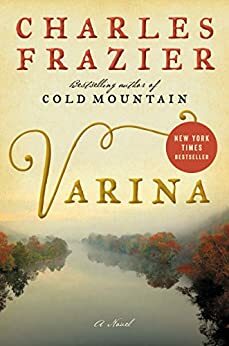 Trinity’s book club will meet Tuesday, April 9, to discuss Varina, by Charles Frazier, a novel about the wife of Jefferson Davis that brings to life the chaos and devastation of the Civil War. Ultimately, it spotlights a woman who realizes that complicity carries consequences. Join us at 6:30 p.m. in the Trinity Library for dessert and lively conversation. Our book for May 14 is Less, by Andrew Sean Greer; then we’ll break for the summer. Contact Kathy Maher (Kathyngs@gmail.com) for more information about Book Chat. My name is Michelle Zenk. I am the new director of your Trinity Trebles. I currently serve in the church as a singer in the Chancel Choir, a ringer in our bell choir and I also work in the community as a music educator. I am so happy to now be able to work with the children of Trinity! We have so much fun at rehearsals! We sing a lot, but we also have fun in other ways too! We have danced, “ice skated” on paper plates and even sang while doing pushups (that was the kids’ idea)! If you’re under the age of 13 and are curious, you are more than welcome to check us out! We meet at 6:30-7:00 on Wednesday evenings.